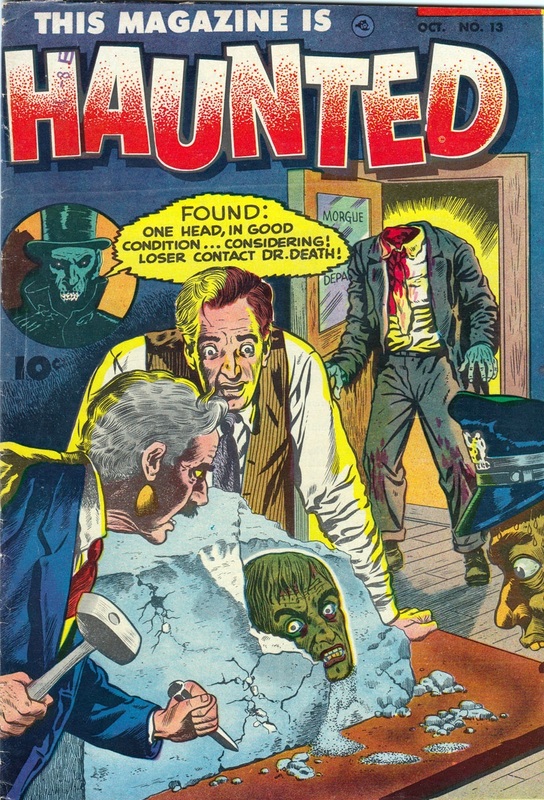 What better way to celebrate the Halloween season than with my favorite current comic book, Haunted Horror? 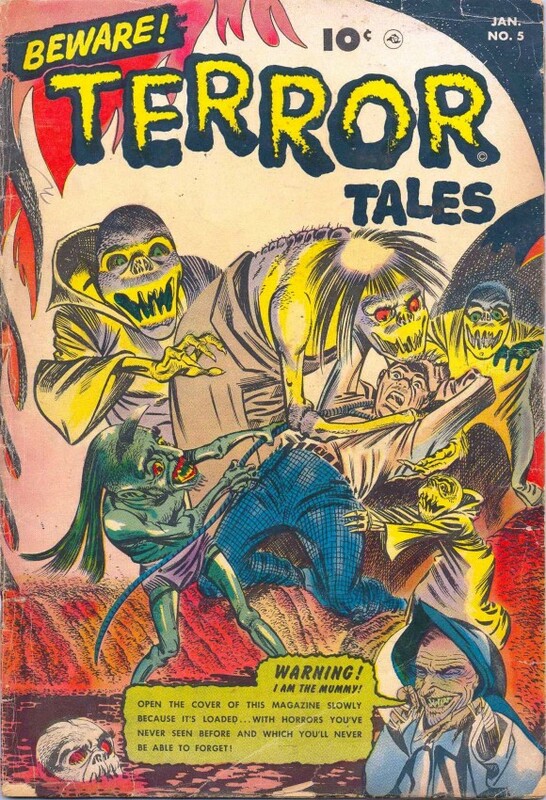 For the last three years, IDW and Yoe Books have been scaring readers silly with wonderfully restored pre-Code horror comics from the bad ol’ 1950s with this essential title, bringing readers the finest terror tales from days gone by. 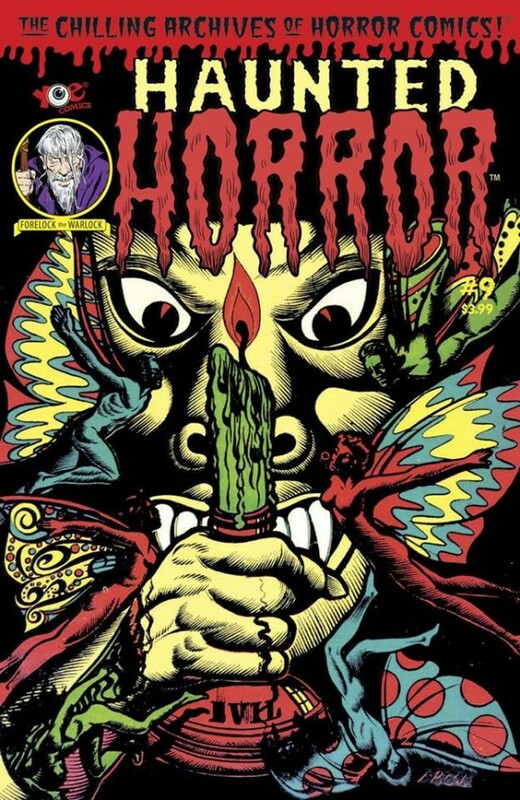 Editors Steve Banes (of the legendary blog The Horrors of it All), Craig Yoe and Clizia Gussoni pour their putrid hearts and dark, twisted souls into every page and even appear as the book’s horror hosts (Mr. Karswell, Forelock the Warlock and Madame Clizia, respectively), a time-honored horror comic tradition. Let’s look at 13 great covers (in chronological order) and chill our spines a bit, shall we? 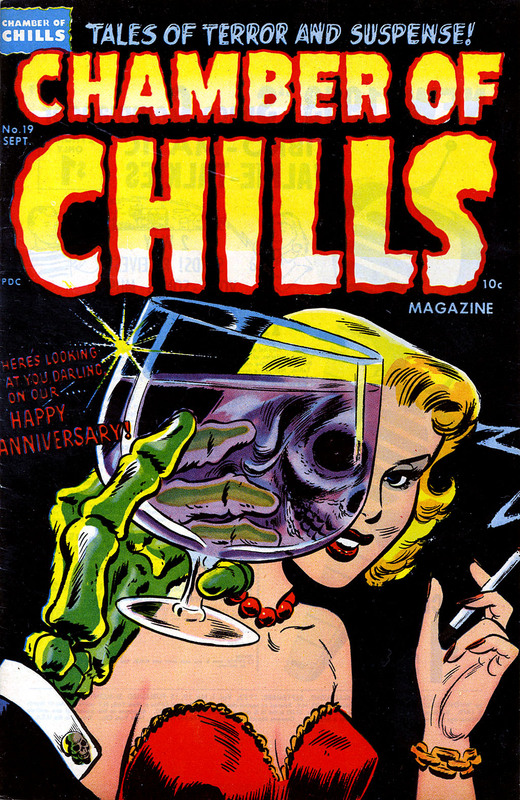 Haunted Horror #1 took its cover from Harvey Comics’ classic Chamber of Chills #19 (September 1953). The artwork is by Lee Elias, based on Warren Kremer layouts. This image became well known in the ’80s when it was used by the Misfits on their “Die, Die My Darling” single. It is also the cover of the first hardbound collection of Haunted Horror, which features an intro by none other than Jerry Only, the Misfits’ bassist. 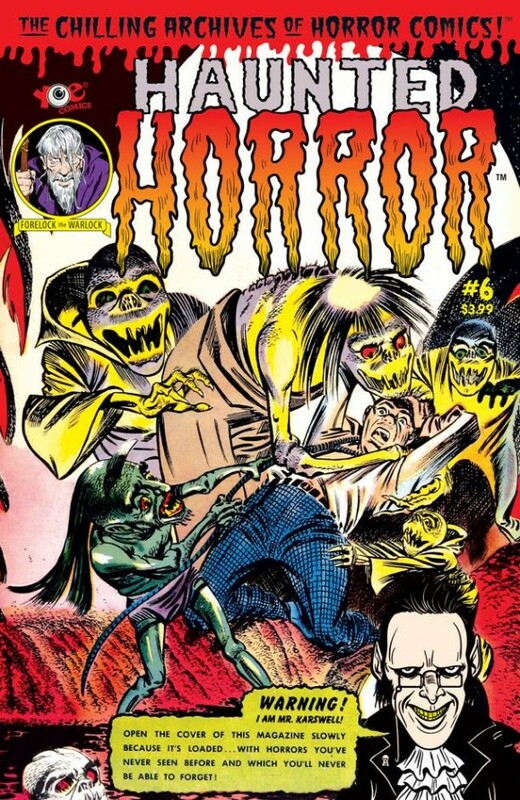 Haunted Horror #3 showcases an exciting cover by Tony Mortellaro that first appeared on Mister Mystery #6 (Gillmor, July 1952). Mortellaro did a lot of excellent work for Gillmor and Atlas and was on call when the latter’s name changed to Marvel Comics, lending his superior inks to Spider-Man and Captain America, among others. 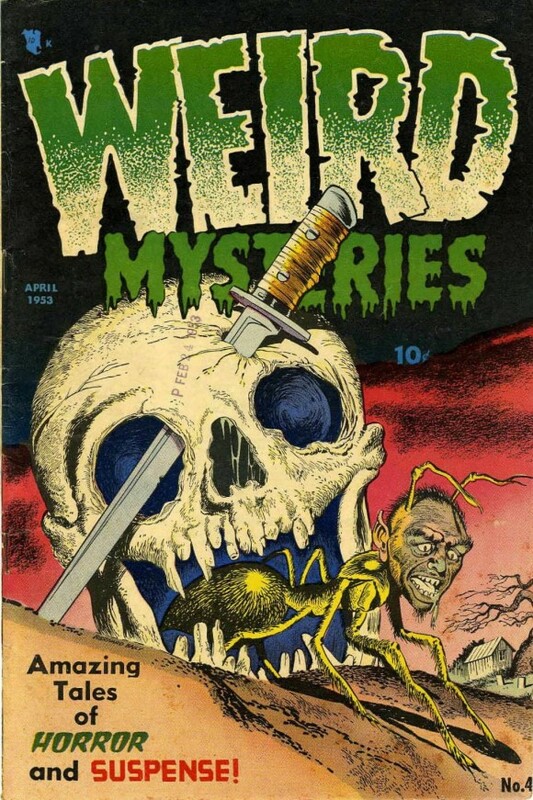 Haunted Horror #4 is from another Gillmor title, Weird Mysteries this time, from #4, the April 1953 issue. 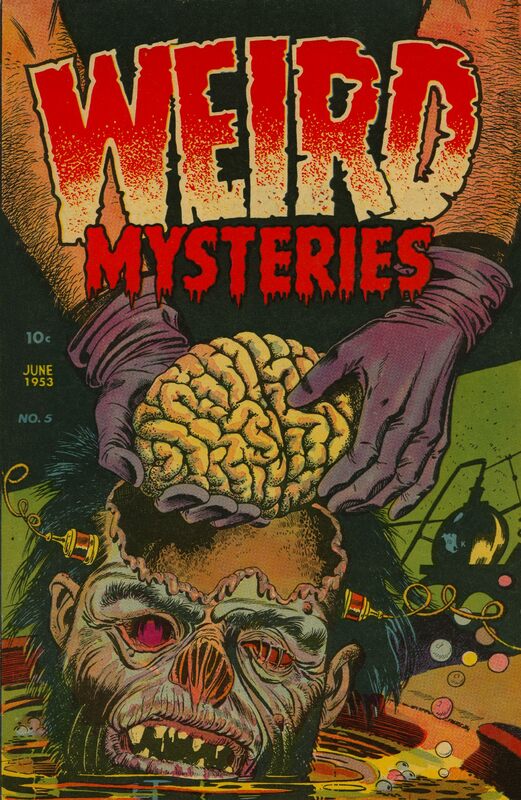 This demented cover is by Bernard Baily, who produced many covers for the company. Baily is credited with co-creating the Spectre with Jerry “Superman” Siegel, a hero with plenty of dark characteristics of his own. 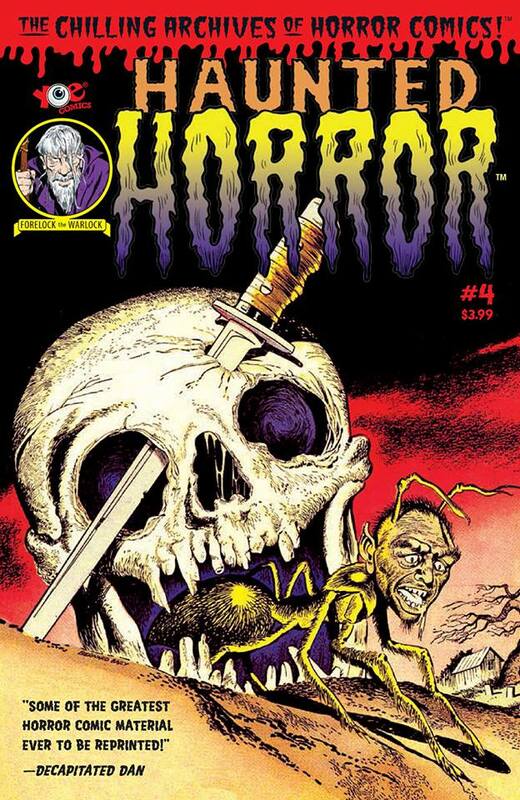 Note that Forelock the Warlock is featured on the Haunted Horror cover. 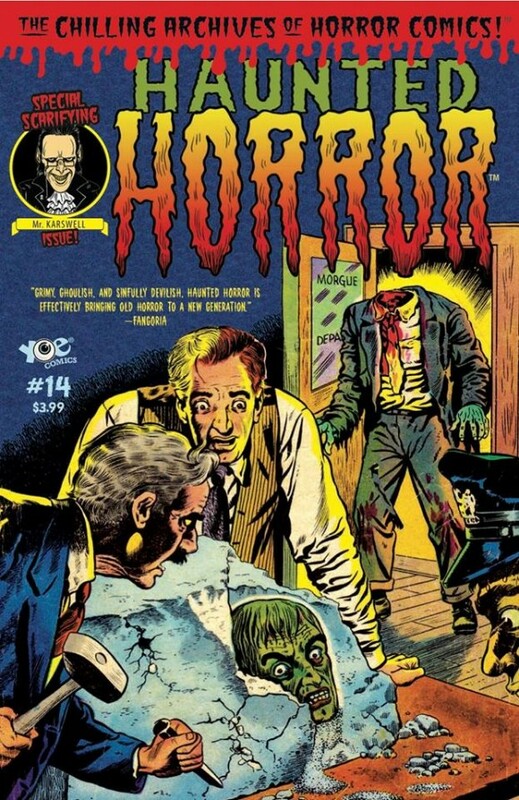 Haunted Horror #6 has another Bernard Baily masterpiece. This one was originally seen on Fawcett’s Beware Terror Tales #5 (Jan. 1953). Both Fawcett and Gillmor knew that a good cover sells books and they both kept Baily busy. Mr. Karswell gets to take the main stage here, yellow chompers and all! 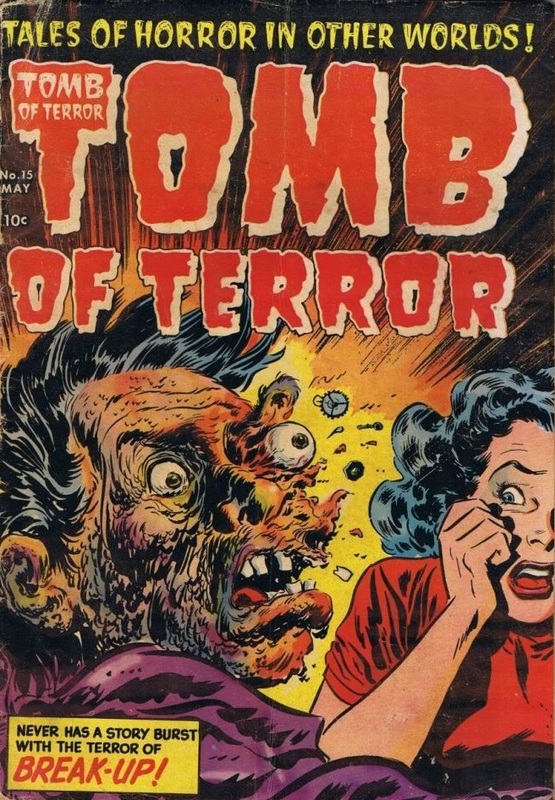 Haunted Horror #7 features another classic cover that originally appeared on Harvey Comics’ Tomb of Terror #15 (May 1954). 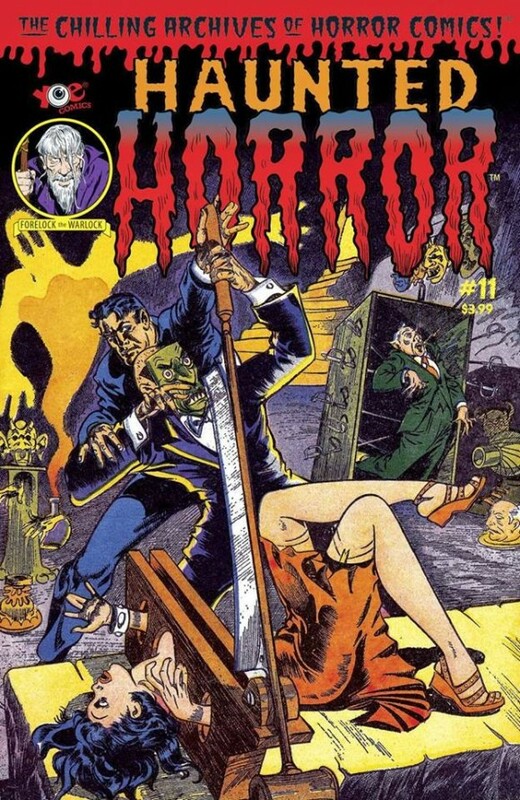 With artwork by Lee Elias, this is one of Harvey’s strongest and most violent covers, though a few gears and sprockets reduce the horror a bit. Still, it’s hard to believe that this chunk-blower is from the comic-book company best known for Richie Rich and Casper! Haunted Horror #8… Bernard Baily again. There’s not much I can say other than this is one of the greatest horror images of all time. It was originally seen on Gillmor’s Weird Mysteries #5 (June 1953), a comic that also featured “Swamp Monster,” a classic Basil Wolverton story, making it impossible for all but the very affluent to obtain an original copy today. Thank you, Haunted Horror for a chance to hold this disgusting cover in my sweaty little hands! 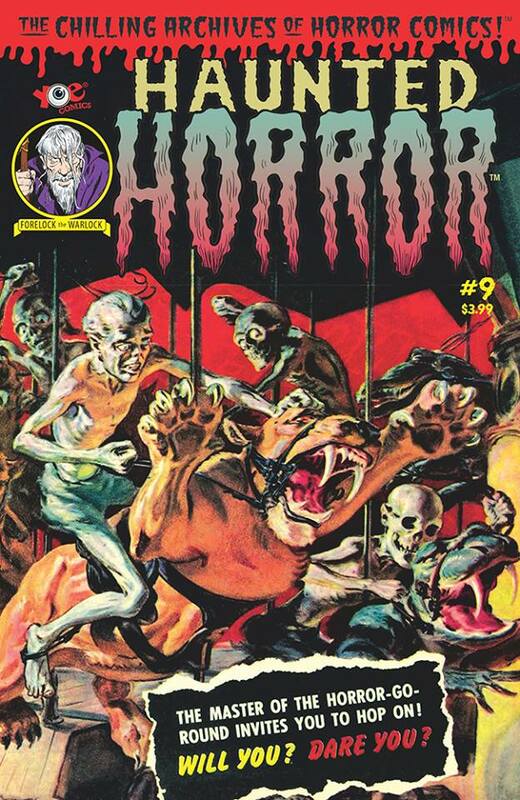 Ah, a painted cover on Haunted Horror #9! 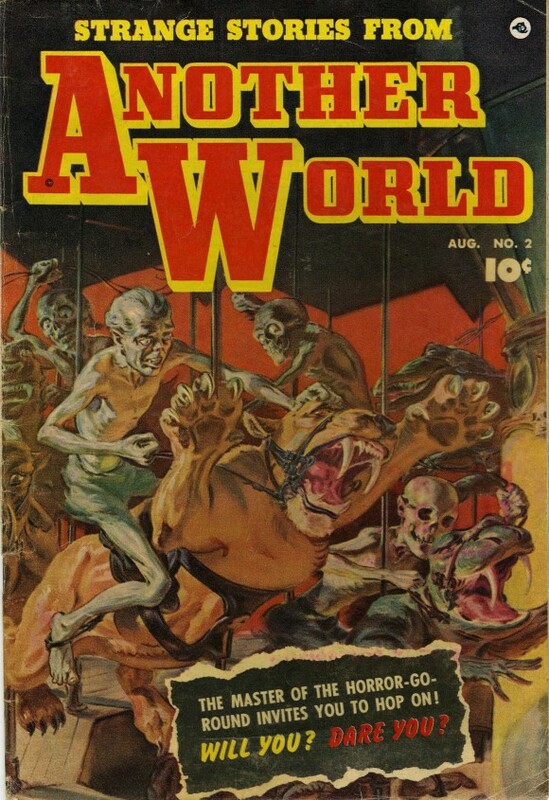 Originally published on Strange Stories from Another World #2 (Fawcett, Aug. 1952), the painting is by the wonderful Norm Saunders. Saunders painted a handful of pre-Code horror covers and did a great deal of work for men’s adventure magazines. He is fondly remembered by many for his work for Topps cards, including paintings for Mars Attacks, Ugly Stickers and Wacky Packages. 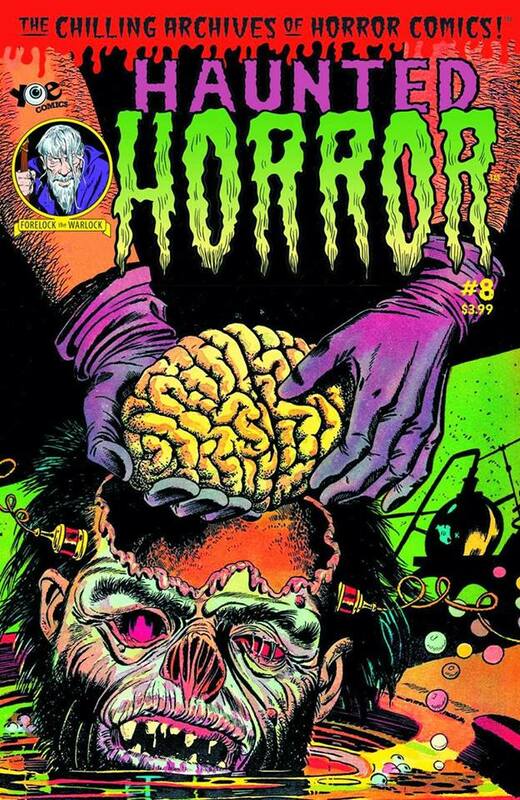 Haunted Horror #10 has an astounding psychedelic cover by the great L.B. Cole. His covers utilized thick, black lines, black backgrounds and eye-catching primary colors that must have screamed at the prospective buyer from the newsstand. 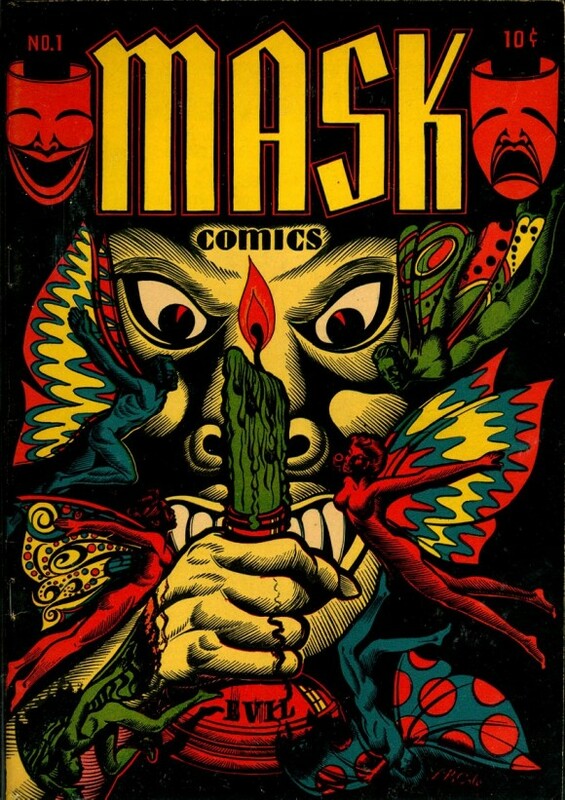 This one is from Mask Comics #1, published by Rural Home way back in 1945. It is fair to say that L.B. Cole has blown many minds over the years… mine included. 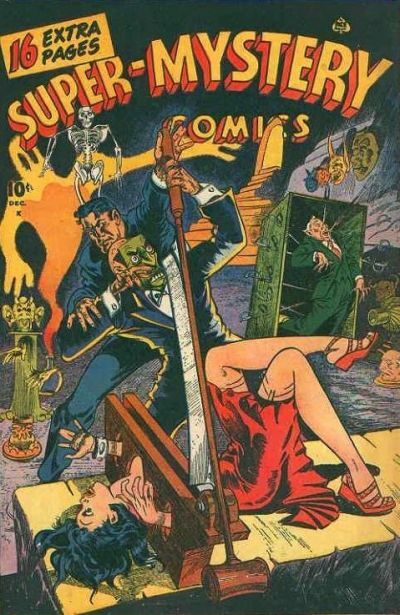 Haunted Horror #11 takes us back to the ’40s again with a dynamic Warren Kremer cover that originally appeared on Super-Mystery Comics V.6 #3 (Ace Comics, Dec. 1946). 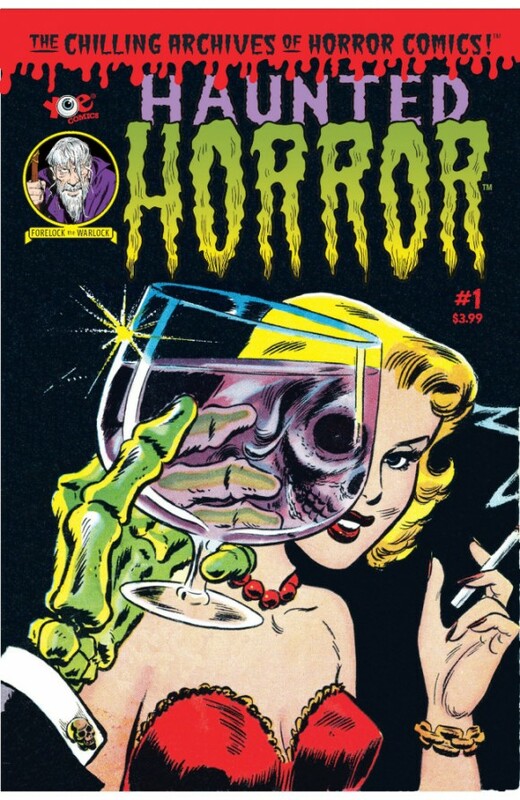 Besides doing horror for Ace, he was a real force at Harvey, doing covers, cover layouts and inside art. Eventually, this brilliant, bloodthirsty beast created the beloved cartoon characters Richie Rich and Hot Stuff. 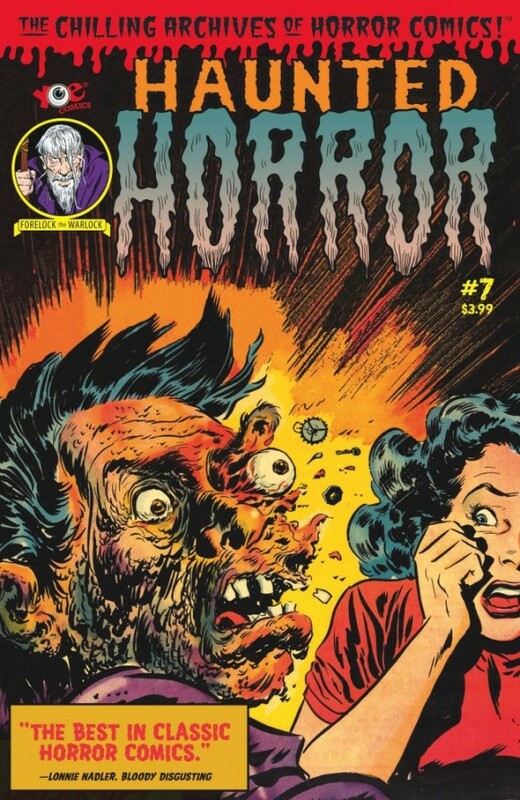 Haunted Horror #13 gets really weird again with this A.C. Hollingsworth mind-melter. Hollingsworth had a very fluid style that could embrace both evil and beauty at the same time. One of the few African-American artists working in comics at the time, Hollingsworth produced a ton of excellent work for Avon, Story and Ribage, among many others. 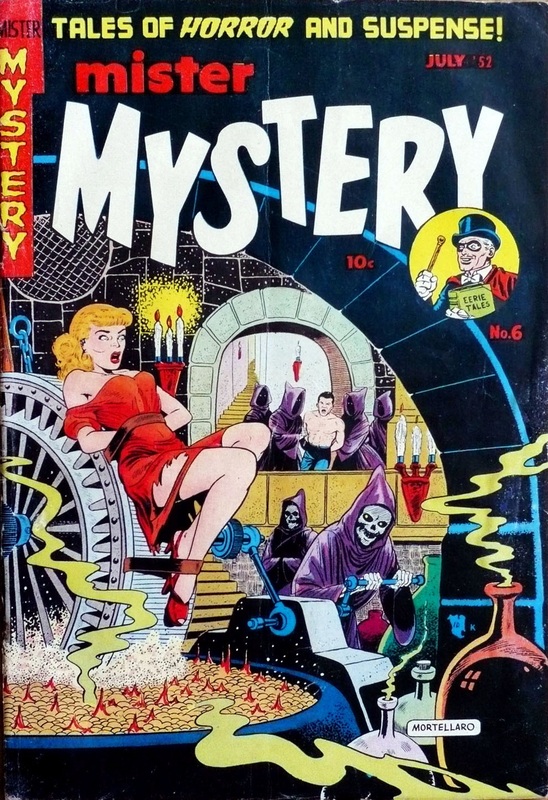 This cover was originally found on Eerie #10 (Avon, Dec. 1952). 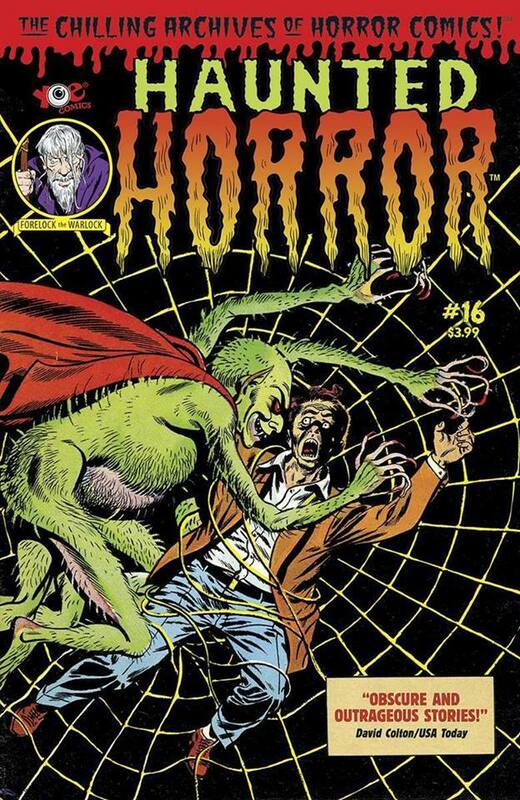 The cover of Haunted Horror #14 comes from the Oct. 1953 issue (lucky #13) of the comic whose title warned you straight out what you were in for, This Magazine is Haunted. The cover is by comic book superstar Sheldon Moldoff, a driving force with Batman and dozens of other characters in the DC Universe. As horror fans, we are all indebted to him, not only as a great artist in the genre, but as the person who is said to have given Bill Gaines at EC Comics the idea to do a horror title. The rest, as they say, is history. You can have Spider-Man… I’ll take this George Roussos spider-man monster. 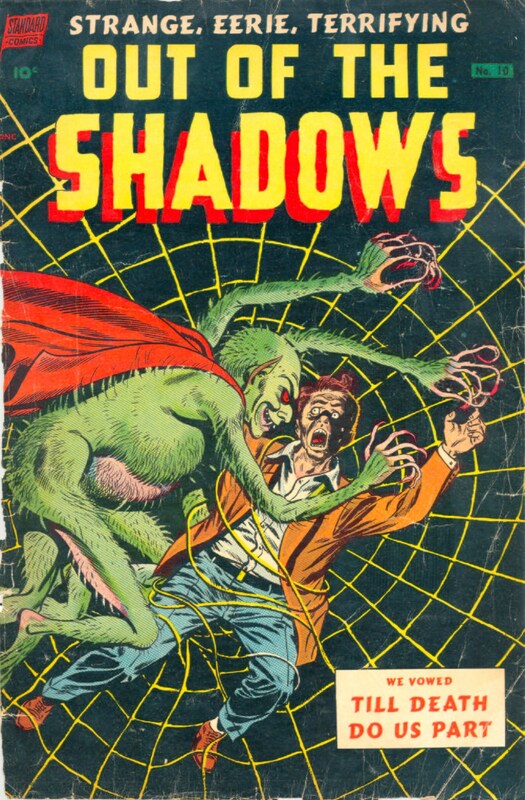 The cover of Haunted Horror #16 is a gruesome treat that was first seen on Standard Comics’ Out of the Shadows #10 (Oct. 1953). The prolific Roussos worked for dozens of publishers throughout the Golden Age and pre-Code eras and later became one of Jack Kirby’s best inkers at Marvel in the ’60s. Let’s end this sweet 13 with another sickening Bernard Baily monsterpiece. 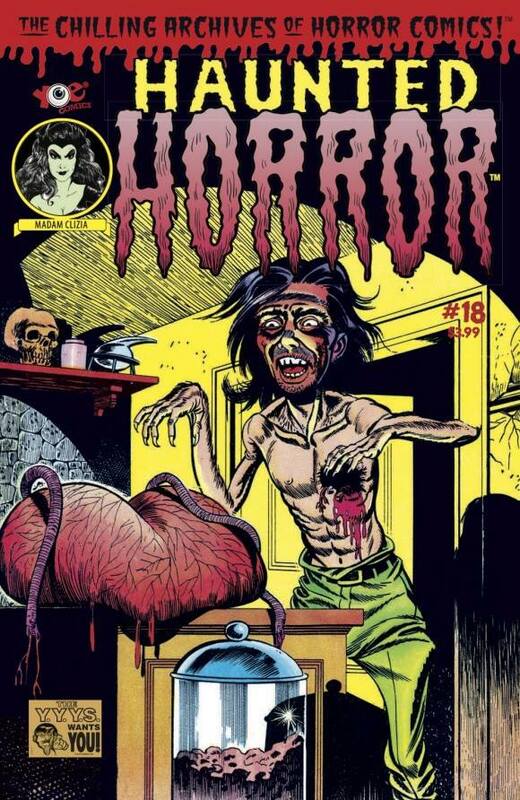 #18 is disturbing on so many levels… the scrawny, feral man is looking to replace his dripping heart into the yawning cavity in his ripped-open chest! Baily strikes again! 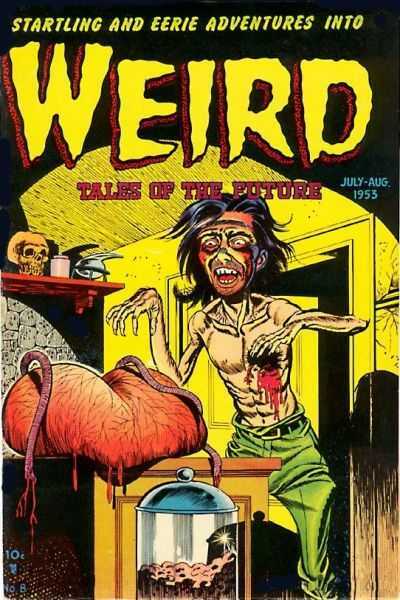 This charming piece of comic-book history first appeared on Weird Tales of the Future #8 (Gillmor, Aug. 1953), that title’s last issue. I’d say that the title, like this list, went out with a bang. 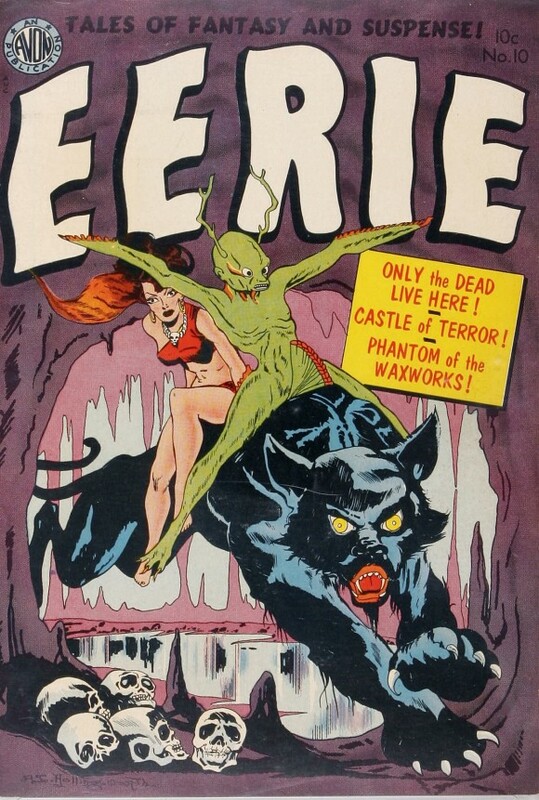 That great Eerie #10 cover by A.C. Hollingsworth is based on the cover of an earlier Avon publication, that of Avon Fantasy Reader #2 from 1947.